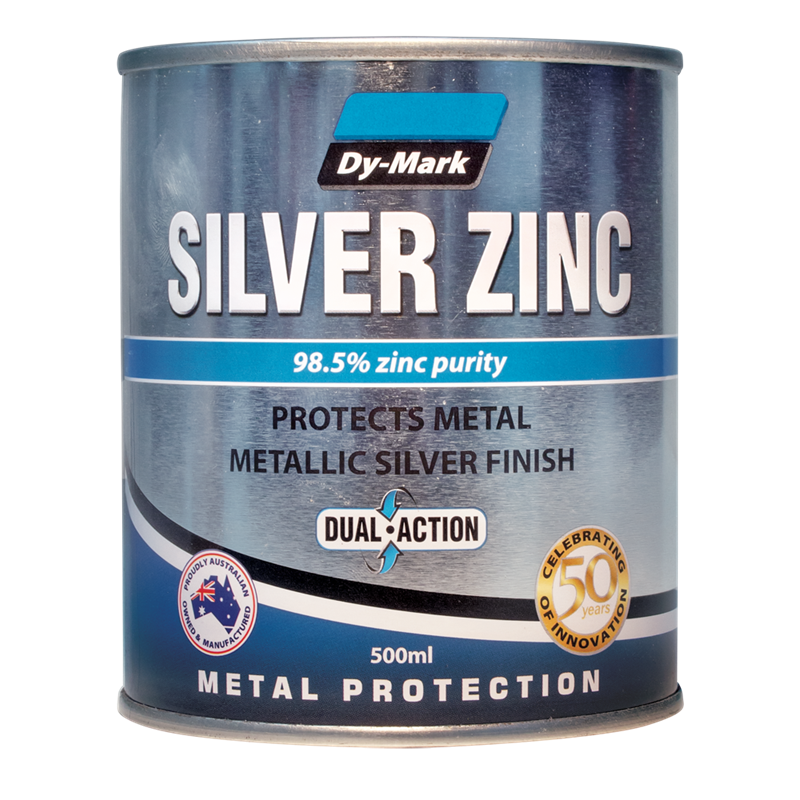 Dy-Mark Silver Zinc is a fast drying epoxy based metallic zinc coating which provides excellent adhesion, corrosion resistance and long lasting durability to metal surfaces. Can be used as an anti-corrosive primer and top coat in a one-step application. 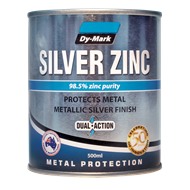 Can also be used as a touch up coating for welded areas on galvanised products. 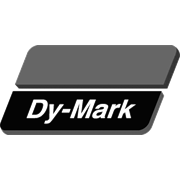 *For longer term protection and highly corrosive conditions Dy-Mark Zinc Gal primer is recommended before the application of Dy-Mark Silver Zinc as a finish coat.